Maerklin have designed a system of wheel and coupling operation which is surprisingly trouble-free. This is normally difficult to achieve at a scale of 1:87. Particularly the relation between rail and wheel profile. It is true that a derailment on the Maerklin system happens rarely if never. If it does happen, it is usually because the wheelset was not set correctly on the track in the first place, and may ride around the layout a few times before actually coming to grief. The coupling system is good, but not perfect. The newer style 7203 couplers (or guided couplers) will not couple on curves. Uncoupling or refusal to couple, is always a frustration when it happnes, though not often, and is probably explained by variation in coupler height, which should be adjusted by the user. Maerklin supply a coupler height gauge. The kinematic system for automatically increasing the length of the coupler shank as the car travels on a curve is good, and has been adopted by model manufacturers of all brands over the past 15-20 years (my guess). 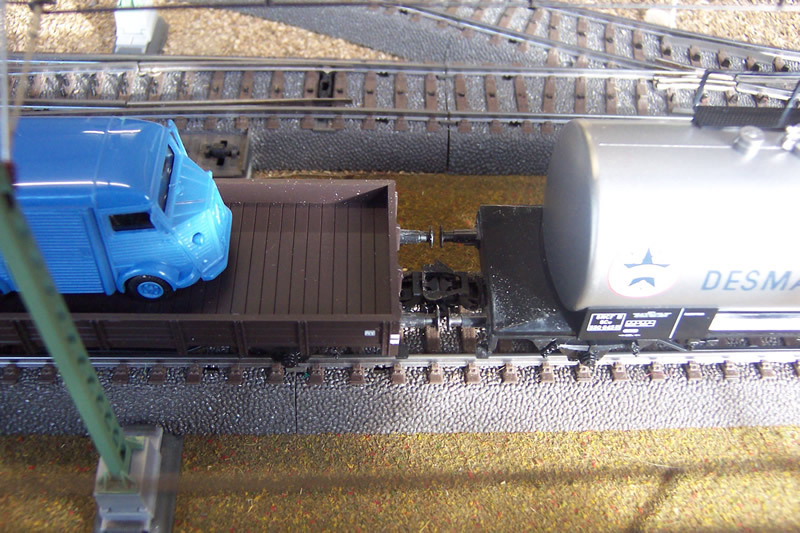 This achieves close coupling (the cars look good in a train) on straight track. I do question the validity of this kinematic system, particularly having experience with the Kadee coupler from North America, where it is not necessary. Why is that?. Well North American rolling stock has no buffers, and it is the scale reproduction of the buffers on Europen stock that created the need for the coupler distance to expand on curves. In older models, the buffers might interlock in the curve, and as the train exited the curve, one or both adjacent wagons would come off the tracks, and so it would go on. It is all because European model manufacturers insist on scale size and length buffers, and then want close coupling as well. Jouef in the 1950/60s had the perfect system I believe, where the wagons were close coupled, but there was never any problem in a curve. How did they achieve that? They simply reduced the size of the buffers well below scale, and there was never a problem. So the question devolves to: do you want scale buffers and kinematic coupling, or would you prefer smaller buffers and simpler coupling systems? Two Jouef wagons from the 1960s, standard couplers, bodies 10 mm apart. Notice the buffers? These buffers are smaller than scale. 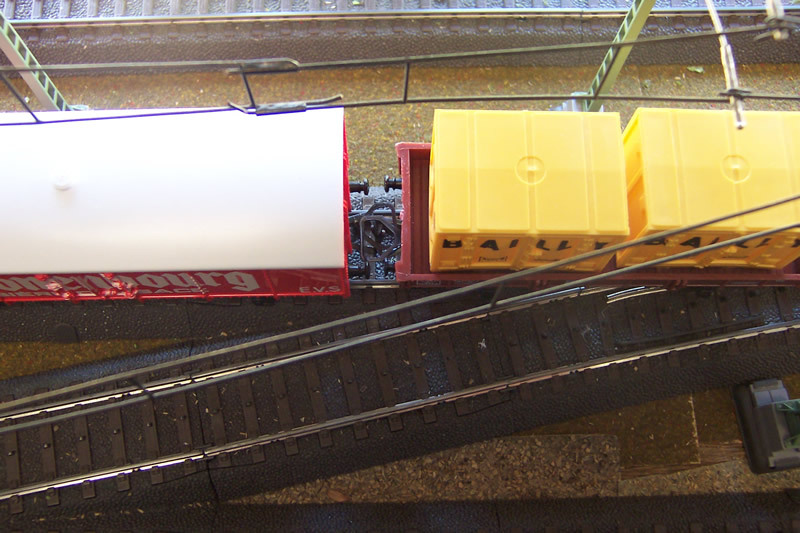 Two wagons with kinematic couplings and bodies anything from 10 to 15 mm apart. The size of the buffers is apparent. Would you miss them if they were not to scale?